This weekend we went to Savannah, Georgia. It was my first time in Savannah and I was really excited to go. We heard that there was a cloistered order of Carmelite Sisters in Savannah, so we went to find and visit them while up there. As we had no appointment or any contact with them before hand, I was a bit hesitant to ring the doorbell, but when I did, a beautiful sister answered the door and greeted me warmly. She was with another visitor, but called the novices to meet with us. We spent about 10 to 15 minutes talking to the novices and learning about the order just a bit. The monastery was built in the late 50s with sisters from Philadelphia and over time, with few vocations and the founding sisters passing away, the monastery was going to be closed, until a sister from Kenya came over to help revitalize the order. In time, she brought over some more sister and now they have a nice little community, but would be happy to accept more! Before we left on Saturday, the sisters presented us with scapulars then told us they have mass on Sunday at 8am. We had planned on going to the Cathedral but decided to go back to the monastery instead. 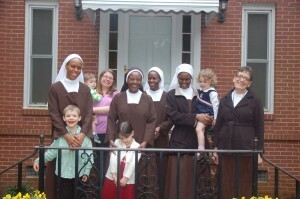 The sisters were happy to see us and after Mass, they invited us to the parlor and prepared us a wonderful breakfast. I don’t know if they will do that for everyone, but it was sure a treat for us! 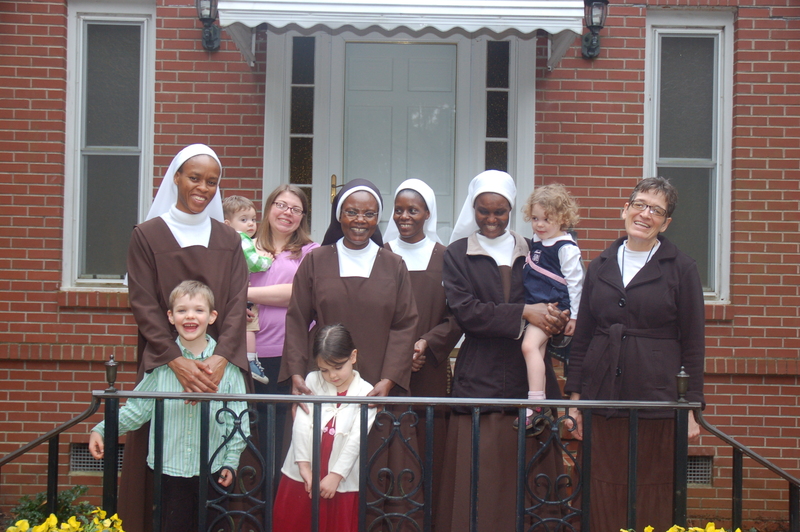 If you are in Savannah, either living or traveling through, please, stop and visit these beautiful sisters!